If you know me you know lemon and mini are two of my favorite things to have in a dessert. There’s something about the zesty tang and bright flavor that makes lemon such a great flavor for a dessert and mini is just better. Maybe because I don’t feel so guilty when I eat 2-3 of them in one sitting. We also call minis “diet-sized.” They’re smaller so that means fewer calories… right? 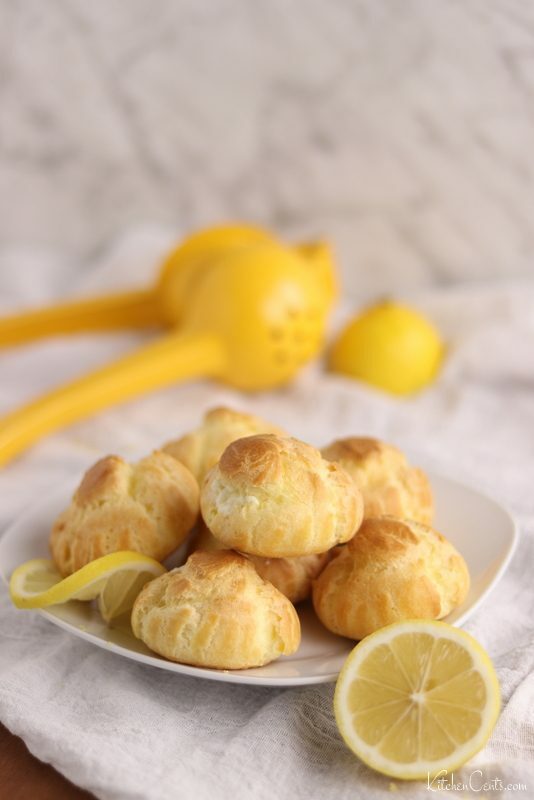 These Lemon Cream Puffs are filled with loads of lemony goodness and their mini bite-sized cuteness is perfect for spring. 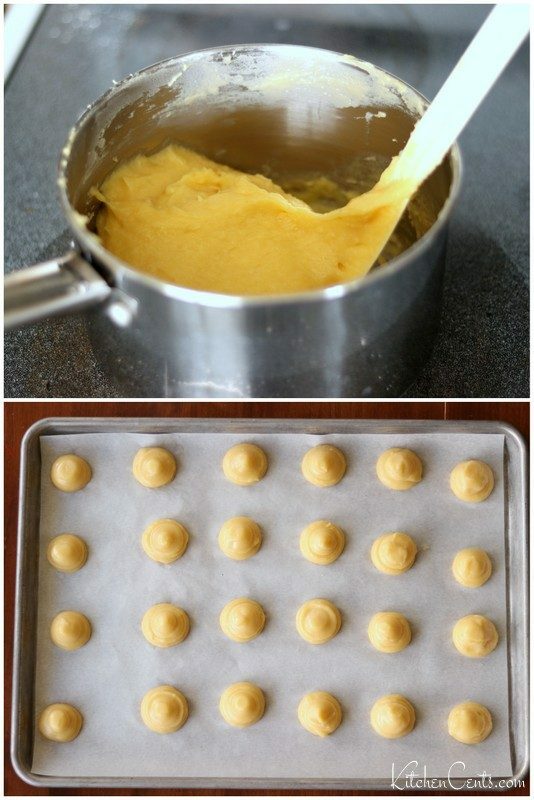 These cream puff shells are made from a Pate a Choux dough. Pate a Choux is the same dough eclairs are made from. It’s a sticky dough made from flour and eggs that when pipped, holds its shape. When the dough is baked it puffs creating large air pockets inside. This is how the hollow shell is made. It might sound hard and scary but it really isn’t. To start, you will bring to boil the liquid ingredents, then add the flour. Once the flour is combine and cooked, remove from heat to cool. When the thick dough is hot to the touch but not burning (about 125°F) you’ll add the eggs, one at a time. Once all the eggs have been incorporated the dough will be soft and pipable but still hold shape. Pipe balls a little bigger than a quarter on a lined baking sheet. This recipe should make about 24 puffs. The Pate a Choux recipe listed below is a great recipe to have because it’s extremely versatile. You can use it to make eclairs, cream puffs, or even stuff it with chicken or egg salad for an easy appetizer. You don’t need a piping tip although I’d highly recommend using one. You can use a plastic bag with a large 1/2 inch cut in the tip. If using a tip, I’d recommend a plain round piping couplet (the piece you put inside the bag then put the piping tip on and screw a nut to secure the tip), large round size 806 piping tip, A1 piping tip, or a large star size 829 piping tip. I typically use what I have which is a regular round piping couplet. This lemon cream filling is the best, let me tell you why. It’s semi-homemade which usually means quick and easy. It only requires 3 ingredients! No one will ever guess this wasn’t from scratch it’s that good. I love recipes like this easy lemon cream because it’s super fast to make, so easy and tastes amazing! Can you guess the 3 ingredients? If not, I’ll help you out. Lemon Creme (lemon curd–you could make this from scratch but if you are short on time, you can find it in the baking aisle next to the pie fillings. Fresh Lemon (juice and zest)–this takes this cream to the next level! Heavy whipping cream–this is where all the creamy goodness comes from. DIFFERENCE BETWEEN WHIPPING AND HEAVY WHIPPING CREAM? There is only one difference: the percent of milk fat. Whipping cream has a lower amount of milk fat (30%) where as HEAVY whipping cream has a higher amount of milk fat (36%). With a higher milk fat content, heavy whipping cream is thicker and will hold its shape longer after being whipped. When making desserts such as mousse or cream, heavy whipping cream is typically preferred. PRO TIP: When whipping cream, whip the cream in a cold (chilled) bowl. 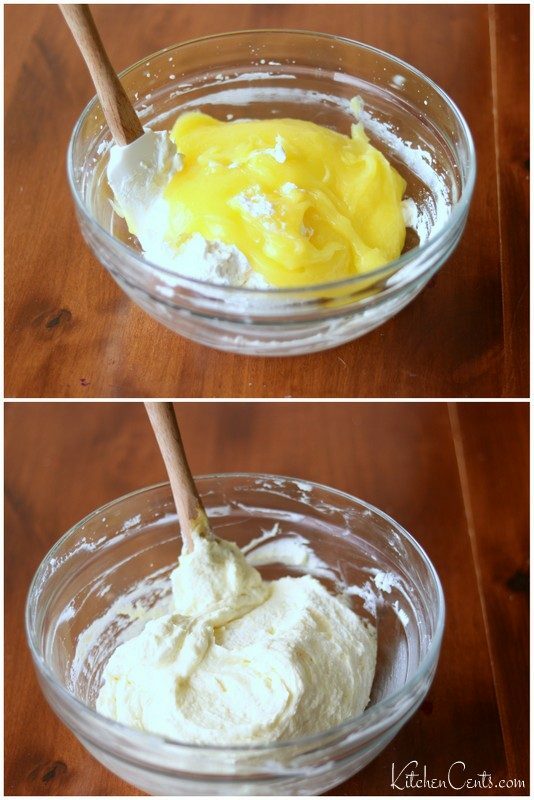 To chill the bowl, pop it in the fridge or freezer 20-30 minutes before you plan to whip the cream. This helps the cream stay cold during the whipping process which helps the cream whip easier, quicker and to its full potential. 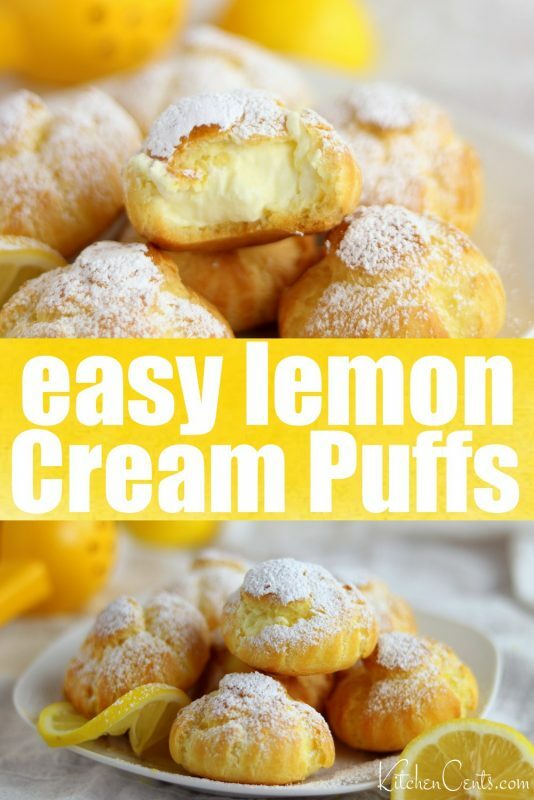 Everyone who tries these easy Lemon Cream Puffs love them and I love them even more when I see how inexpensive they are to make. Check out my price check below. Prices for supplies may vary depending on location and store you purchase groceries from. I try to shop bulk food stores, use coupons, watch ads and shop sales (like case lot), buy supplies in bulk to save money in the long run and use homegrown produce and herbs when available. These are great way to stay within my grocery budget without sacrifiesing flavor or nutrition. My total cost for 24 golf ball sized shells was $0.73. 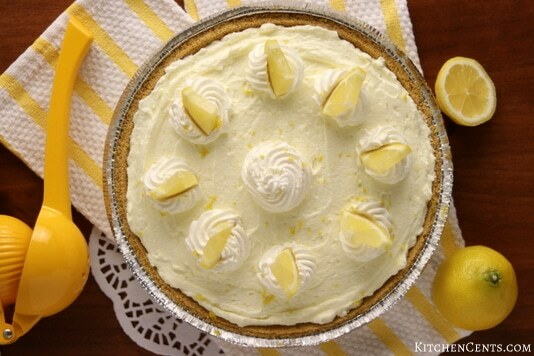 The total cost for this easy lemon cream filling was about $2.66. 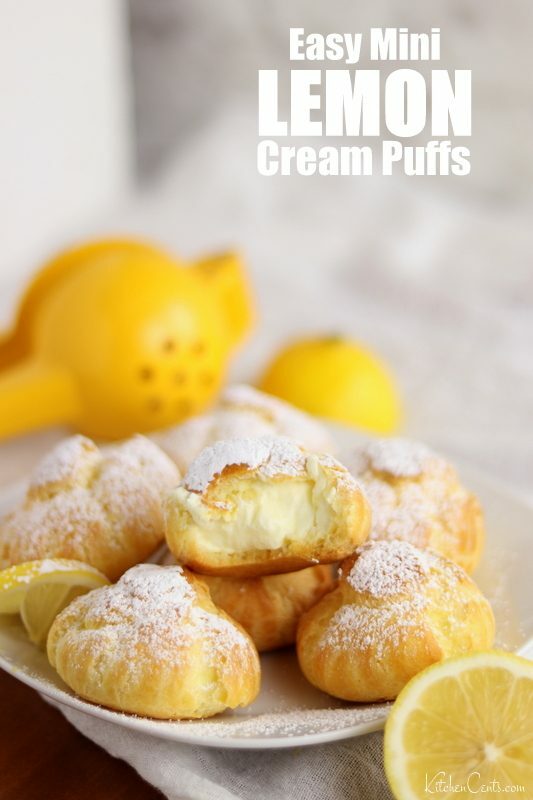 This lemon cream puff recipe will make 24 two-bite golf ball sized puffs. They are a perfect dessert to share in a variety of settings. 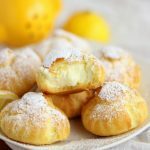 These sweet, tangy lemon cream puffs are elegant enough to serve at a wedding or dinner parties and are easy enough to make and take to a family get together, BBQs or to share with neighbors as a Welcome Spring! (or summer) treat. This recipe cost me a total of $3.39 which breaks down to only 14¢ each. So worth every penny! Here’s the full printable recipe. I hope you love this recipe as much as I do. Light, crisp, shells filled with a simply divine lemon cream filling dusted with sweet confectioner sugar. 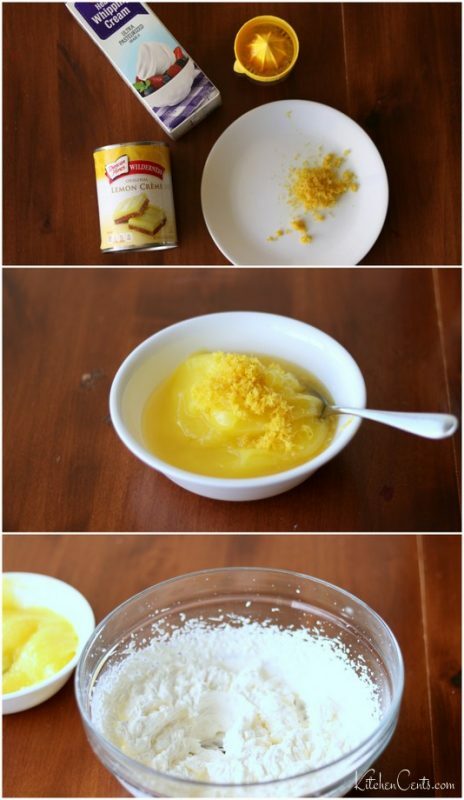 A perfect lemon dessert! Add eggs, one at a time. Incorporate completely before adding the next egg. 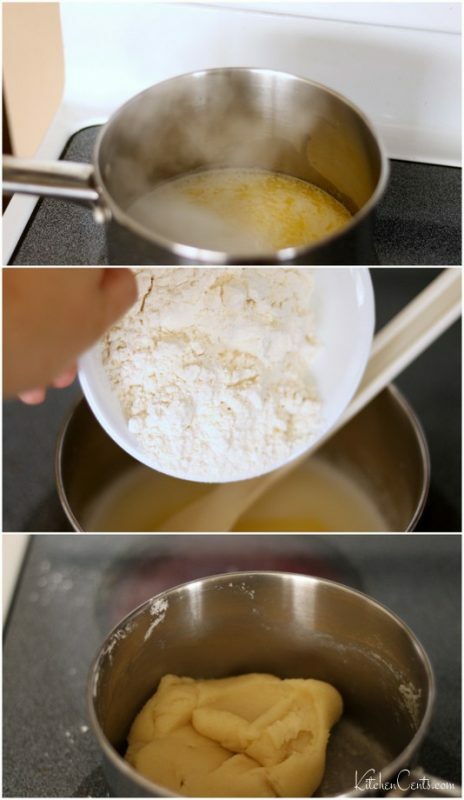 Mixture should be a soft paste that will still hold its shape. Using a plastic piping coupler or piping tip of your choice (large opening) and Ziploc bag. Pipe large balls of paste (with a base a little bigger than a quarter, rows of 4 by 6 to equal a total of 24 puffs) onto a parchment-lined baking sheet. (Shells will puff to be about a golf ball size shell). Bake at 425°F 15 minutes then REDUCE the heat to 375 for 10-12 minutes until the shell is golden brown and hollow inside. In a large bowl, whip heavy whipping cream to stiff peaks. Do not over whip or it will turn into butter. Using a bag with round piping tip, carefully insert tip into cooled shell. Fill slowly until shell is full. Dust with confectioner sugar (powdered sugar) if desired. Best if served fresh but can be frozen for later enjoyment. If frozen, allow lemon cream puffs to come to room temperature before serving. Use a wet butter knife to cut the paste after every ball is made or wet your finger and pat any peaks that may have formed before baking. This recipe can easily be doubled. Shells will have to be baked into sessions. Lemon creme comes in a 21oz can which makes doubling very easy and worthwhile if you don’t have another recipe using the filling. they look amazing but im not a lover of a lemon can i make them chocolate ?